Get to know us and the way we deliver quality service since 2014. We offer our services to all of Tampa Bay Area. See if we service your area. Get your dirty gutters cleaned by pros. The seamless guttering solution for your home. Do your gutters leak? We can fix that. 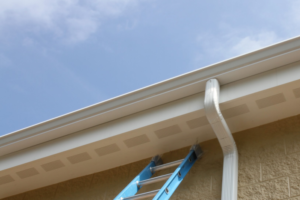 Smart Florida Gutters offers quality service for all your gutter needs. We can take care of all your gutter needs. Quality work is everything to us. We stand for 100% client satisfaction. Our quotes are competitive and no one can beat them. NO ONE. 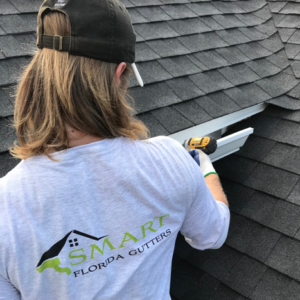 Smart Florida Gutters servicing Sarasota, FL. Performing services for all types of properties starting from residential homes to commercial and industrial buildings. If you are having issues with your gutters, we can come out and perform an inspection, find the problem and get it resolved. Gutter cleaning services in Sarasota, FL you can count on. Located on every residential and commercial structure, gutters are an imperative factor of a structure’s functional architecture. The simple design of gutters is one of the foremost methods in which a home is protected from water. Every roof has an eave, or the part of a roof that hangs slightly beyond the walls of the structure. Gutters are attached beyond the eaves in order to collect rainwater from the roof. Surrounding the parameter of the home’s roof, gutters are attached to downspouts, allowing water to flow away from the home. However, proper maintenance is required: gutter cleaning and gutter repair in Sarasota, Florida is important for protecting a home from the elements. 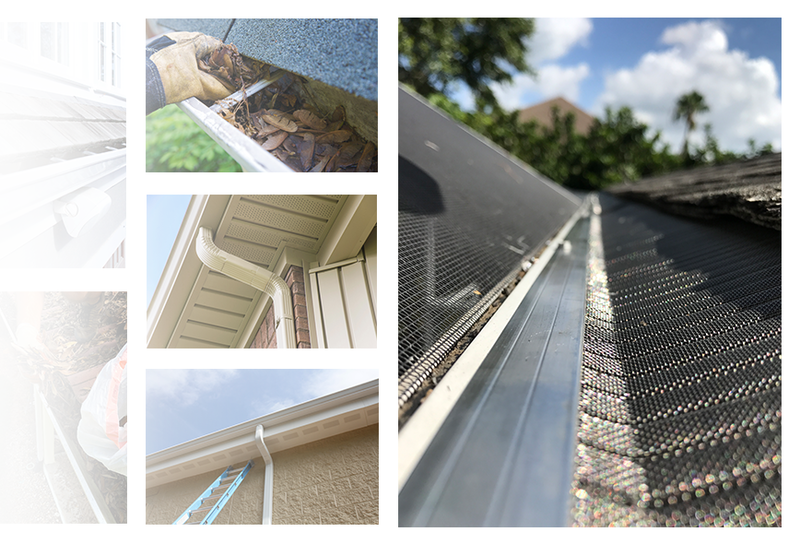 When gutter cleaning in Sarasota, Florida or gutter repair does not occur, a home is left exposed to the elements. Homeowners often do not realize how little walls and a roof do in protecting a home from rainwater without gutters. When gutters overflow or are in need of repair, water accumulates and flows down the walls of a home. Eventfully, the water leaks into the home, traveling down to the basement, and possibly even under foundation of a home. A plethora of issues ensues: mold begins to grow where the water is trapped, rotting can occur and basements can flood. Most drastically, if water dampens the soil beyond the foundation of a home, the home’s foundation can shift. Consequently, the foundation of the home can crack. These issues, and their substantial costs, can be easily avoided with proper gutter maintenance. Therefore, gutter repair Sarasota, FL, and gutter cleaning Sarasota, FL cannot be avoided by homeowners. Gutter repair services you can depend on in Sarasota, FL. The expense of gutter cleaning or gutter repair is easily offset by the potential extraordinary price of poorly functioning gutters. Professional gutter cleaners and repairers guarantee homeowners are safeguarded from rain water. Professional gutter experts not only clean and repair gutters, but they save homeowners the time, hassle and dangers of doing the cleaning or repair on their own. Instead, homeowners can do what millions of people travel to Sarasota do: enjoy themselves. Homeowners can take some time to relax at Siesta Key Beach, or perhaps explore the Sarasota Jungle Gardens, or even peruse the John and Mable Ringling Museum or Art. Whatever you choose to do, gutter cleaning or gutter repair should be left to the professionals! Copyright © 2018 SmartGuttersFL.Com. All Rights Reserved. Please submit your contact detail and one of our gutter experts will get back to you shortly. Great job cleaning gutters on our newly bought house. They were on time, professional and finished the job to perfection. Very pleased with the quality and service. Would highly recommend them.